The Moat Show at the Skatepark of Tampa went down this past week. Among the 48 participating brands were The Hundreds, 5Boro, Mighty Healthy, Kayo, Nike SB, Tum Yeto, One Distribution, Nixon and HUF. It appears that when Keith decided to put together and expand into footwear he did it big. 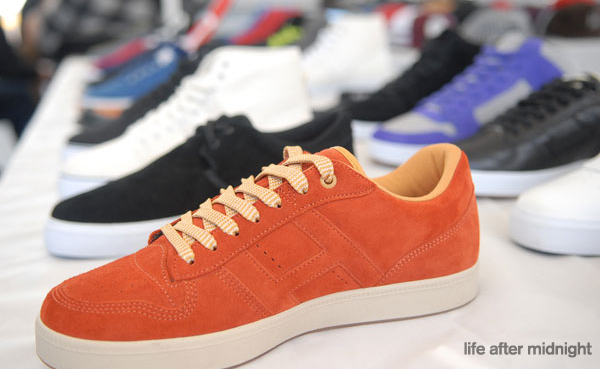 HUF had their Fall/Holiday collection on display and a couple photos surfaced of a two tone orange low cut sitting amongst what appears to be a vast collection.